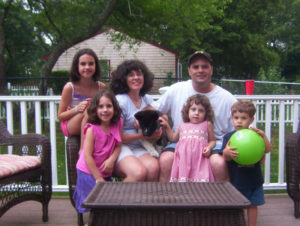 Use the information in this section to prepare your home and family for life with your new puppy. Premium pet food to get your new puppy off to a good start . NUTRO / Max Puppy Food (dry kibble) and canned Nutro Max puppy food is what the puppy eats (will be eating) here at RH AKITAS. Also used in addition to these is Pedigree Puppy Food dry kibble and canned Pedigree Puppy food to insure new owners that do not have access to Nutro brand have access to a common brand redily available. Stainless steel, non-tip food and water bowls. Identification tags with your puppy’s name, your name, phone number and your veterinarian’s name and phone number. A collar and a leather or nylon 6-foot leash that’s 1/2 – 3/4 inches wide (consider using a “breakaway” collar with plastic clips that will unsnap in case your puppy gets hung up on something). A home and travel crate that’s airline approved and will accommodate your puppy’s adult size. This crate will serve as your puppy’s new “den” at home, when traveling or riding to the veterinarian’s office. His scent in the crate will provide comfort and a sense of security during these stressful times. 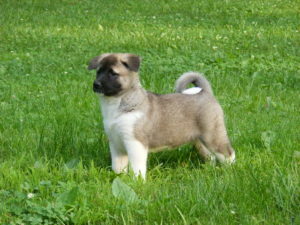 Some akita pups may reject the enclosed area of the fiber glass / plastic type kennels. 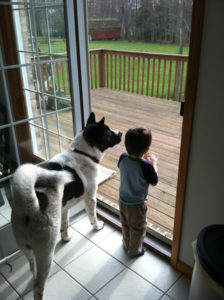 After all – akitas favorite thing to do is to be with his family. Using a metal wire cage works best for pups that are uncomfortable in an enclosed kennel. Purchase a larger wire cage so you pup can grow into adulthood using the same cage! Stain remover for accidental soilings. Brushes and combs suited to your puppy’s coat; insure you purchase long toothed brushes and combs so you can reach all the way through their thick coat. Dense brushes will not work on an akita. They will simply glide on the top of the fur patting it down. Dog shampoo, toothbrush and paste for dogs. High-quality, safe chew toys to ease teething. Its not recommended you use raw hide during the first year of the dogs growing period. Use raw hide treats sparingly. Too much can hurt your dog. Nail clippers. 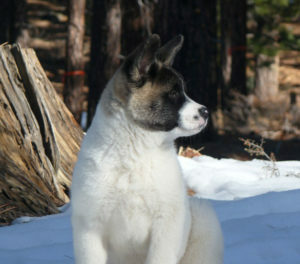 Get the best to make this process easier for your Akita. Cheapoes crush the nail vs slicing through it like butter. Use stainless steel, non-tip food bowls, which won’t break or absorb odors. For a comfortable collar fit, allow for two-fingers of space between the collar and your dog’s neck; consider using an adjustable collar. Keep breakable objects out of reach. Deny access to electrical cords by hiding or covering them; make outlets safe with plastic outlet plugs. Keep the following house and garden plants out of reach: poinsettias, azaleas, rhododendrons, dumb cane, Japanese yew, oleander and English ivy among others. In the garage, be sure engine lubricants and other poisonous chemicals (especially antifreeze) are safely stored. If you own a pool or hot tub, check the cover or the surrounding fence to be sure they’re in good condition. If you provide your puppy with an outdoor kennel, place it in an area that provides sun and shelter in the pen; be sure the kennel is large enough to comfortably accommodate your puppy’s adult size. Step 1: Before bringing him in the house, take him to the area in your yard that will serve as his “bathroom” and spend a few minutes there. If he goes, praise him. If not, proceed into the house but be sure to take him to this spot each time he needs to use the bathroom. Step 2: Take him to the room that accommodates your crate—this restricted area will serve as his new “den” for several days. Put bedding and chew toys in the crate, leave the door open and line the area outside of the crate with newspaper, in case of an accident. Let him investigate the crate and the room. If he chews or urinates on his bedding, permanently remove it from the crate. Step 3: Observe and interact with your puppy while he’s acclimating to his new den. This will help forge a sense of pack and establish you as the pack leader. Be alert for signs (sniffing and circling) that he has to go to the bathroom, then take him outside immediately. A young puppy has no bladder control and will need to urinate immediately after eating, drinking, sleeping or playing. At night, he will need to relieve himself at least every three or four hours. Don’t punish an accident. Never push his nose in the waste or scold him. He won’t understand, and may learn to go to the bathroom when you’re out of sight. Keep resident pets separated from your new puppy for a few days. After your new puppy is used to his new den area, put an expandable pet gate in the doorway or put your puppy in his crate. Give your resident pet access to the area. Let pets smell and touch each other through the crate or pet gate. Do this several times over the next few days. After that, give the resident pet access to the den area with your new puppy out of his crate. Supervise their meeting and go back to through-the-gate/crate meetings if trouble arises. Your pup is still young and has a small bladder. Also, he/she is still developing and experiencing new situations and experiences. Traveling for your pup is a new experience and whether by car or plane – the motion of travel is a new experience that sometimes causes brief upset stomach, diarrhea due to stress and nervousness. All symptoms should dissipate within 24 hours or less, diarrhea taking the longest. Clean-up. Extra paper towels or infant wipes work great in cleaning up accidents from surfaces in the car or messes on your pup. Your puppy needs to be constantly consoled and at times (although not the safest way to have your pup in the car) carried in your arms during your trip. If you need to stop to let your pup relieve him/herself DO NOT LET YOUR PUPPY GAIN EXPOSURE TO DOG FESES. Seriously! Although your pup has his/her first puppy shots – there have been instances that parvo was still contracted by exposure to enough virus particles by infected dog stools. Keep watch over your pup during walks. Your puppy will miss his mom and litter mates the first few nights. The pup may howl and cry for attention during the night. This is normal and just a way it goes in getting a new pup. Some are more vocal than others. Using a toy and or blanket from his first home helps a lot. Feeding –Use the complimentary bag of food to wean your puppy slowly to the food of your choice. The pup’s stomach is sensitive at this point. Loose stool is common but not diarrhea. 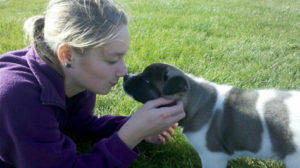 Keep close contact with your vet and be sure to get your pup looked at within 48 hours of having him at your new home. At RH Akitas we use a goat milk base veterinary approved formula to supplement our 1-3 week old pups’ feedings. We then wean the pups with this formula and canned Nutro-max for puppies to make a cereal. The pups LOVE this stuff! We then move on to canned puppy food only, all the while providing them a consistent access to clean water. Next, we move on to a canned and dry puppy kibble moistened with a bit of water. We use less of the canned as we move on into the weaning process. Our customers always get a supply of the dry kibble and canned food in their Puppy Care Kits to they can continue on weaning their pup to the food of their choice. Proper nutrition for your new dog is key to helping him live a long, healthy life. Dogs are as individual as people. Large, small, young or old, despite their differences, they all need a well-balanced diet for good health. Yet dogs of different ages and sizes have different nutritional needs. This is especially significant when it comes to puppies. Provide a highly digestible, nutrient- dense, 100% complete and balanced premium formula for growth. High-quality formulas contain such vitamins, minerals, protein, fat and carbohydrates your dog needs for sound and healthy development. Feed a formula based on breed size. Puppies experience their most rapid period of growth during the first six months of life, and because growth rates differ among breed sizes, you need to feed a formula designed to address the needs of your puppy’s breed and or size. Feed puppies based on the recommended amounts for weight and age and feed this formula until your puppy is an adult. Some pups are slow to wean – adding high quality canned food will encourage them to eat more. Moderating calcium, phosphorus and calorie levels in their diet promotes normal skeletal development. Overfeeding and weight gain can actually contribute to developmental bone problems. This makes managing food intake very important. Research has shown that puppies are at increased risk for developmental bone problems if they are overfed. Once you’ve decided on a premium formula, you have another choice to make: dry or canned. And what about biscuits? Premium dry dog food gives you the best value and convenience while providing your dog with high-quality nutrition. Premium dry foods come in a number of bag sizes and formulas suited to size, life stage and activity level. Dry food also helps keep teeth clean and remains fresh for long periods if stored properly. Puppy and adult biscuits make great treats and rewards and can add taste variety to your new dog’s diet. The investment in a super premium food may initially cost more per bag, but because these high-quality formulas are high in nutrient density, your dog may need less food, which can offset the higher cost per unit of weight. On a cost-per-feeding basis, look at how much you feed each day as opposed to how much the bag costs, because nutrient and energy density will generally be lower for a low-cost food compared with premium foods. Foods from reputable dog food companies such as IAMS, SCIENCE DIET, NUTRO, Taste of the Wild, Diamond Natural, etc are fixed-formula foods as opposed to least-cost formulas. Fixed formulas have a “stable ingredient profile.” That means the recipes formulated to be 100% complete and balanced do not change with the cost of ingredients. With least-cost formulations, the emphasis is on production and ingredient costs. Two bags of the same least-cost formulated food can have different ingredients and/or levels of ingredients. Plus, those ingredients may vary significantly in digestibility—this means simply that you may need to feed more just to equal the nutrition offered by a smaller amount of a premium dog food formula. Feeding studies have shown that a dog’s nutritional requirements are best met by high-quality animal proteins such as those contained in chicken, fish, lamb and eggs. Our formulas are made with these highly digestible proteins, which promote excellent skin and coat condition and enhance your dog’s overall health and well-being. When your dog’s coat looks good, the rest of the body is likely to be well nourished, too. Fat also plays a key role in keeping your dog’s skin and coat in top condition. Fat not only provides energy, it’s a source of essential fatty acids that are necessary for the skin’s healthy structure. Fatty acids in the diet keep the skin moist and supple. Fatty acids also contribute to a thick, lustrous and healthy coat. Linoleic acid is an essential omega-6 fatty acid for dogs and is necessary for healthy skin. It is found in beef, pork, chicken and some vegetable oils. Omega-6 fatty acids, including linoleic acid, can be found in the fat or oils provided in ingredients such as chicken and corn in your dog’s food. Omega-3 fatty acids are found in cold-water fish oils and in flax. Although not essential to a dog’s diet, they have been found to help nutritionally manage skin and coat conditions and promote a shiny coat. An appropriate balance of omega-6 and omega-3 fatty acids helps maintain your dog’s healthy skin and coat. An optimal range of omega-6 to omega-3 fatty-acid ratios is between 5:1 and 10:1, to enhance skin and coat quality and help nutritionally manage skin and coat conditions. Day 1: Fill your dog’s bowl with 75 percent of his old food and 25 percent of the new premium formula..
Day 2: Mix the old food and the new premium formula in a 50/50 ratio. Day 3: Feed your dog a mixture that’s 75 percent new premium formula and 25 percent old food. Day 4: Feed 100% of the new premium formula. To feed a puppy from weaning to four months of age, offer a 100% complete and balanced premium puppy formula. To determine each serving size, start with the daily amount recommended by the feeding guidelines on the pet food label and divide that number by the number of times a day (usually 3 times) you plan to feed your puppy. Serve the food at room temperature and remove the bowl within 30 minutes after he’s done eating. After four months, you can feed a puppy twice daily on a regular schedule. 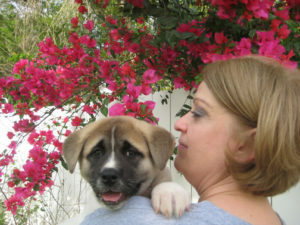 Puppies grow quickly and have special nutritional needs. The most noticeable period is known as the rapid growth stage, which occurs between two and six months of age. From about three to six months, most pups will lose their puppy teeth (don’t be alarmed if you occasionally find a tooth near his dish or on the floor). During this phase, however, a puppy’s mouth and gums may be very sensitive, which could cause him to be a bit picky when it comes to eating. There’s nothing you can do except to wait out this period, even if his appetite is affected for a couple of days. Mix his regular premium dry food with a premium canned puppy food to make his diet more appealing. Soak dry food in warm water for 10 to 15 minutes before serving. Feeding a dry food and biscuits help loosen the teeth so pups can get through the teething process quicker. +Info provided in part from Purina Inc. The most stable Akitas can be unreliable around strangers. 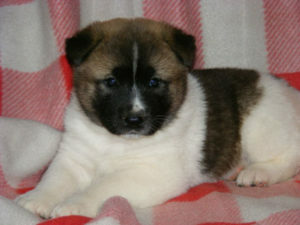 This is a trait that is common in the Akita. Think about it. The ancient culture of the Akita consisted of a single family in a small area. (small housing/environment) Seldom did the Akita have visitors of whom they did not know. 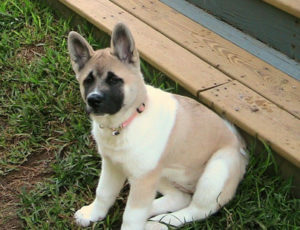 They were bred to hunt, protect, guard, and be extremely loyal to their owners, especially the children in the household…as a result, current day Akita’s natural instinct to guard and protect. This trait can be dampened by today’s professional breeders but can never be weeded out. We love to have visitors and welcome anyone to set up an appointment to come over to visit our “kids” or a puppy they may have purchased. To keep our dogs safe, to keep you safe and to keep our insurance company happy – we have set forth a few guidelines that we ask you to fully comply with when visiting the RH AKITAS property. Many canine viruses are found in the soil – placed there by infectious animals – tame or wild. We have known of entire litters that have died because Parvo was introduced into their homes by visitors carrying the virus on their shoes/slacks etc. Interesting enough – it is not uncommon for a human being to unknowingly carry Parvo virus particles on their clothing. It is everywhere and it is deadly to young canine species! Also, please note that we close our kennel to visitors if we have a litter of pups that are soon to arrive and are younger than four weeks old. Sounds excessive but our pups are very very important to us as well as their new masters. Therefore, we do take every precaution. 3) During a female akita’s heat, it is not surprising to see that one of our males has bent the metal bars on their kennel doors to get out and locate this female! The Akita is strong and we take no chances here at RH Akitas. 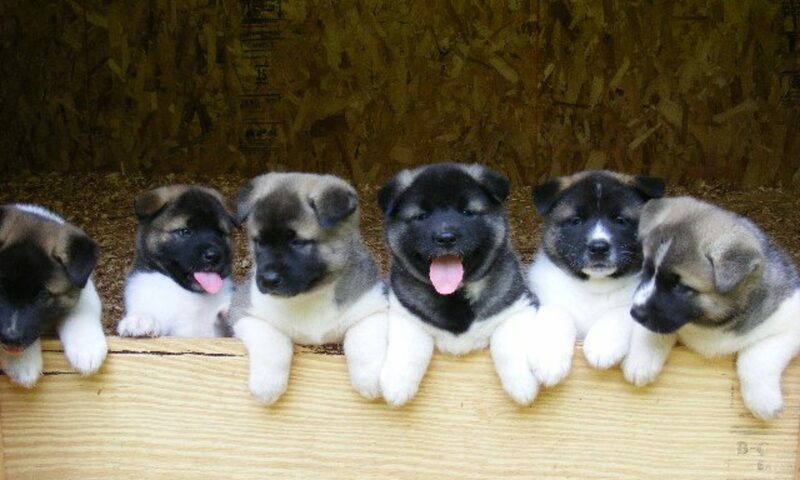 Therefore if we have our kennel open to visitors – ……..
Not too long ago – we had a family of 7 visit RH AKITAS. First thing that happened was the 5 year old boy ran up to King Kori’s kennel slipping both his hands and arms through the fencing. 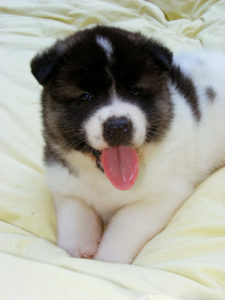 If an akita does not know a person, an akita will become territorial and may become upset. 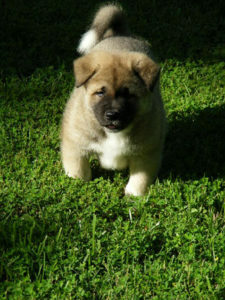 Although our dogs have never bitten anyone or shown aggression, an upset Akita cannot be predictable. The boy was grabbed by the parents quickly. 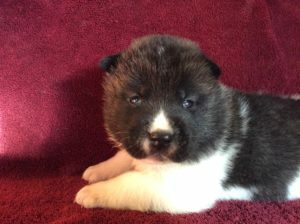 Soon, our visiting family split up into groups of high strung happy people – innocently barking back at our Akitas, running up to kennels, screaming, talking fast and loud, throwing baseball caps around and getting loud strange rings on their cell phones while next to the kennels. To say the least – all of our Akitas were on edge. The next thing that occurred during their visit is a canine phenomenon found in oriental breeds like the Akita and or Huskies. This phenomenon is what we call, “in-fighting” a fight that occurs between the two otherwise friendly cohabiting akitas that go into guard/protect mode due to an outside influence (such as strangers visiting or entering the property, another dog entering the property etc.). This phenomenon was addressed in the movie, “Eight Below” when a few of the dogs were unable to be put together on the sled leads. Although it is rare and doesn’t happen often it does happen and when it does – it can have severe tolls. Not only were our visitors indirectly placing themselves in an unsafe situation – our dogs were were going to get hurt. We hope you understand why groups are not preferred on the property. We appreciate your cooperation and understanding. Please don’t show up with a bus of relatives thinking you can have two people exit the bus at a time to enter the property. We’ll smile and tell you to come back another time with only two people in your party. J Just be cool. 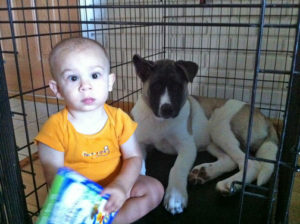 Children under 16 are not allowed in the kennel area or near any adult Akita on the property. No exceptions. 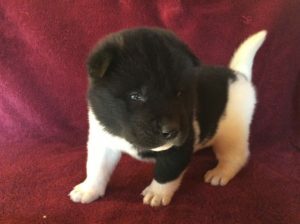 Please keep your hands away from any adult Akita. Do not ever reach into their kennels to pet or touch. 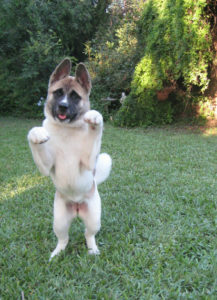 Even if you are greeted with a wagging tail – do not put your hands, face, nose, feet, toes, etc….anywhere near an adult akita. Most of our Akitas would welcome a pat on the head but again – we do not take chances when they do not know and you do not know them. 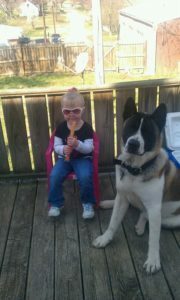 Absolutely no family pets allowed at RH Akitas. Our “kids” will quickly go into protect/guard mode. It will not be fun for them, us, you or your pet. Give us a week’s notice to set up your appointment. Please note – a Weather event, the arrival of a new litter, a litter soon to arrive or personal change in schedule may cancel your appointment to visit us. We will contact you to re-schedule in advance if need be. RH Akitas is not responsible for any injuries sustained by our customers while visiting our property due to falling, tripping, etc… by not following the above guidelines.